An armed forces propaganda video disguised as a movie? Now that's an idea! I'm surprised such a film didn't happen sooner. All kidding aside, the marketing for Act of Valor boldly asserts that it stars active duty Navy SEALs for ultimate realism. The film feels more like Call of Duty than United States Military - a group that deserves a lot of respect and recognition - and human sacrifice is buried amid high-tech combat toys and clunky sentimentality. Act of Valor has some impressive action sequences, but a film celebrating the military should amount to more than pin the tail on the terrorist. Near the beginning of Act of Valor, Chechen terrorist Abu Shabal (Jason Cottle) detonates a bomb hidden in an ice cream truck, killing dozens of children and an American ambassador. Shabal then meets with an international drug runner, Christo (Alex Veadov), and the two plan an attack on America involving suicide bombers. 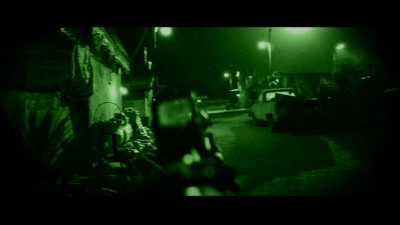 After two CIA agents are attacked while casing Christo, a team of Navy SEALs is called in to trace the terrorists and stop the impending hit on America. 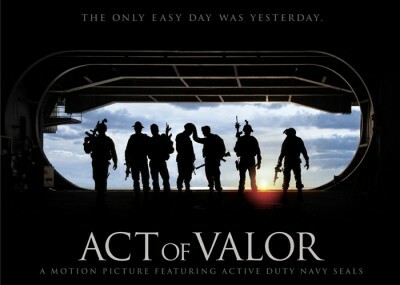 Act of Valor quickly becomes an action film, travelling the globe and showing off the Navy's battle gear. Using real Navy SEALs in Act of Valor lends it some authenticity, and the SEALs display their rigorous training when brandishing firearms and making kills. The best parts of Act of Valor occur when the SEALs go to work, executing a surprise water attack on a terrorist compound and firing rocket-propelled grenades during a jungle car chase. All kinds of badass tactics are employed in Act of Valor: skydiving, dropping boats from helicopters and using night-vision goggles in a firefight. 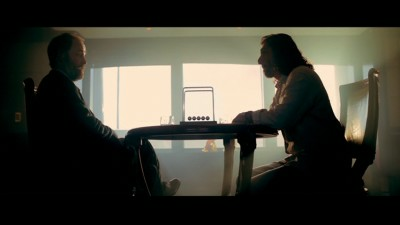 The cinematography from Shane Hurlbut is sharp, and directors Mike McCoy and Scott Waugh have good eyes for location. Although the weaponry is cool, the story could use some work. Act of Valor is basically a first-person shooter, and character development suffers. 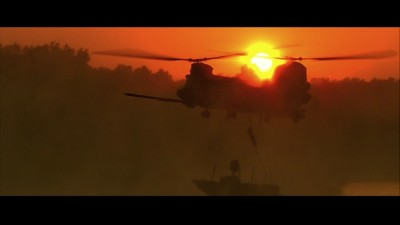 The film follows a group of seven SEALs, whose full names are not given. We see glimpses of family life before the SEALs deploy, as well as emotional calls home over the satellite phone. 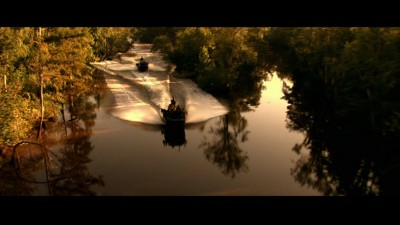 The guys have an easy camaraderie, but Act of Valor is certainly not going to win any awards for acting. The combat scenes generally work, but the film too often overloads on sentimentality and awkward patriotic speeches. 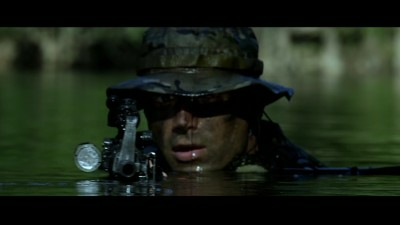 These Navy SEALs sacrifice a lot, but Act of Valor too often tells rather than showing. The America-hating terrorists at the heart of Act of Valor are typically bland, and I suspect the filmmakers simply wanted stock European and Middle Eastern bad guys. 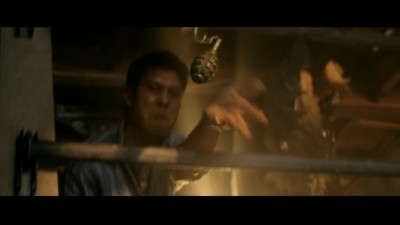 Since the tech and action work well in Act of Valor, the film might have worked better as a leaner, more-focused thriller. The filmmakers also could have expanded the character development and narrative scope to create a more involving epic. As it is, Act of Valor runs a long 110 minutes, and is less a film than a feature-length videogame. That may sound like high praise to some, but the Navy SEALs deserve better than Act of Valor. 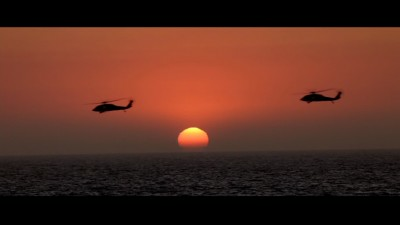 In the Directors' Commentary, Scott Waugh and Mike McCoy discuss the film's locations, stunts and actors, as well as their working relationship with the Navy. The guys have a lot of interesting things to say about the shoot, and I enjoyed parts of the commentary more than the film. Also included are some deleted scenes (9:20), several of which should have stayed in the film. A funny bit about MREs is included, as is a longer scene between Shabal and Christo. The disc also includes the theatrical trailer (2:32). Act of Valor works when its active-duty Navy SEALs actors get to use their battle smarts, but stumbles during obligatory scenes of sentimentality. A leaner, more enjoyable thriller is buried under some of this excess, and Act of Valor plays like a generic shoot-'em-up. Rent It.